Scott Elford earned his Bachelor of Music, Percussion Performance, from Northern Illinois University in 1995 where he studied under Rich Holly and Robert Chappell. At NIU Mr. Elford was the principal percussionist with the award-winning NIU Wind Ensemble under the direction of Steve Squires and played auxiliary percussion with the NIU Jazz Ensemble, including performances with the late Tito Puente. Since college graduation Mr. Elford has established the highly regarded Scott Elford Percussion Studio in Fond du Lac, Wisconsin where he has maintained a studio of 35-40 students from 1998 to present. Mr. Elford's students study all aspects of percussion including: mallets, tympani, snare drum, drum set, auxiliary, ethnic and hand percussion. Mr. Elford's students have numerous exemplary soloist awards at state competitions, have been members of the state honors project, and later have gone on to be accepted into the percussion programs of; DePaul University, University of Indiana, Luther College, University of Wisconsin Madison, University of Wisconsin Oshkosh, and the University of Wisconsin Whitewater. Along with his private studio, Scott is the adjunct percussion instructor at both the University of Wisconsin Fond du Lac and Fox Valley extensions, and Marion University. Mr. Elford is the principal percussionist with the Water City Chamber Orchestra (Oshkosh Symphony Orchestra) and is a section member with the Green Bay Symphony Orchestra and the Fox Valley Orchestra. 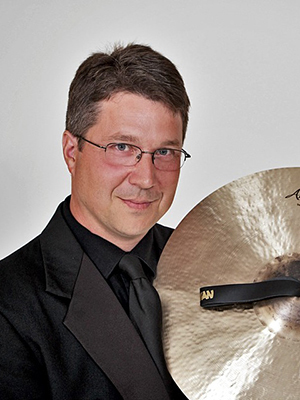 He has also performed with the Illinois Philharmonic Orchestra, Sheboygan Symphony Orchestra, Pamiro Opera Company, Ann Jillian Breast Cancer Benefit, Wisconsin All Star Orchestra, Sandwich Theatre Company, and was a featured marimba soloist with the Fond du Lac Symphonic Band. Mr. Elford has performed on drum set, conga and auxiliary percussion with various Chicago based funk and pop bands, Mr. Lucky Swing Syndicate, Swinging Jump Cats, Downtowners, Spin, Casting Cleos, and Billy Shears. Presently Scott is also a member of the worship team at Lighthouse Christian Church in Fond du Lac, WI.